Relax in tranquil, peaceful surroundings and enjoy the views in our new wellbeing space in the Library. This calm, relaxing spot has comfy seating, cushions, throws, plants, self-help books, games and of course our colouring corner. 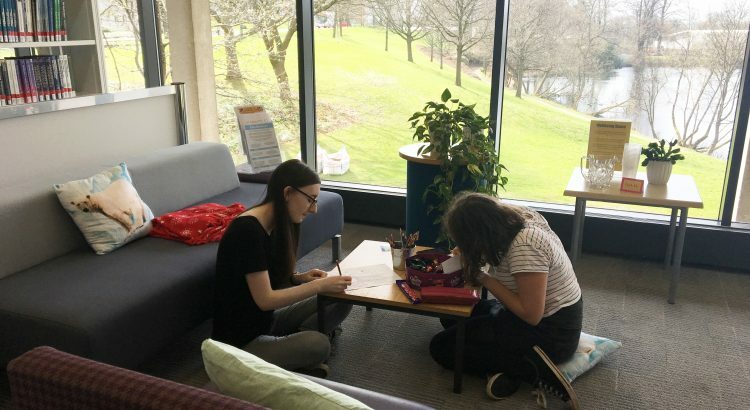 The Library Wellbeing Space opens today, Wednesday 18th April and is located in the Short Loan Collection Area on Level 2 of the Library.